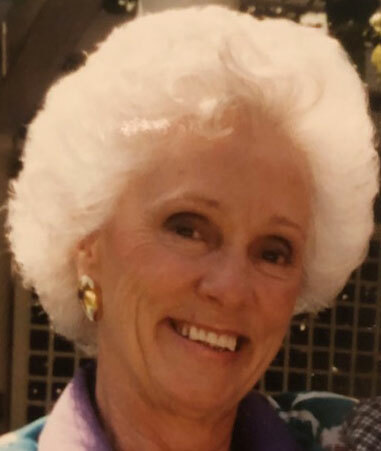 AUSTINTOWN - Funeral services will be held Tuesday at 11 a.m. at the Bethel Assembly of God Church, 3813 Mahoning Ave., for Lillian Rae Huskins Miller, 91, who passed away peacefully at her home at AustinWoods Nursing Home with family by her side. Lillian was born Feb. 14, 1928, in Erwin, Tenn., the daughter of late Robert and Bessie (Tipton) Huskins. Born third of 13 children, Lillian at an early age had the joy of helping to raise young ones. She raised her own four children and helped raise grandchildren and great-grandchildren. She went on to become a nanny and pre-school teacher in Alexandria, Va. Children were her greatest joy. Lillian was of the Protestant faith and enjoyed singing in the choir and working in the nurseries. She also enjoyed quilting, camping, cooking, and homemaking. Lillian’s love of travel took her from the mountains of Eastern Tennessee to such places as Alaska (where she took a helicopter onto a glacier in her 80s), the Panama Canal, the Bahamas, all over the U.S., and to several counties in Europe. Wherever she went, she made new friends. Lillian was a beautiful, insightful woman who knew how to love herself, how to be herself, and how to positively empower others. Her zest for living and helping others was never diminished. Lillian is survived by her daughters, Brenda Miller of Austintown, Karen Freed of Bradenton, Fla.; son Wayne (Diana) Miller of Austintown; daughter-in-law Jane Miller of Youngstown; 10 grandchildren, Jon Miller, Jayson Miller, Crystal Miller, Nicole Miller, Shaun Miller, Justin Hill, Rachel Hill, Brett Miller, Katie Miller, and Eric Miller; nine great-grandchildren; two brothers, Floyd and Robert Huskins Jr. of Erwin, Tenn.; and sisters Wanda Laws of Erwin, Tenn., and Jessie Batts of Ashland City, Tenn.
Lillian was preceded in death by her children’s father, O.V. Miller; and her son, Staff Sgt. Richard Miller. Also gone and waiting to see their sister are, Howard Huskins, J.D. Huskins, Harlon Huskins, Ronald Lee Huskins, Lucille Hensley Waits, Betty Jane Bailey, Glenna Allen, and Madlyn Mycheskew. Family and friends may call Tuesday from 10 to 10:45 a.m. at the church. Lillian and her family are forever grateful to the compassionate and loving caregivers at AustinWoods and Crossroads Hospice. Professional services are being handled by the Higgins-Reardon Funeral Homes, Austintown Chapel.